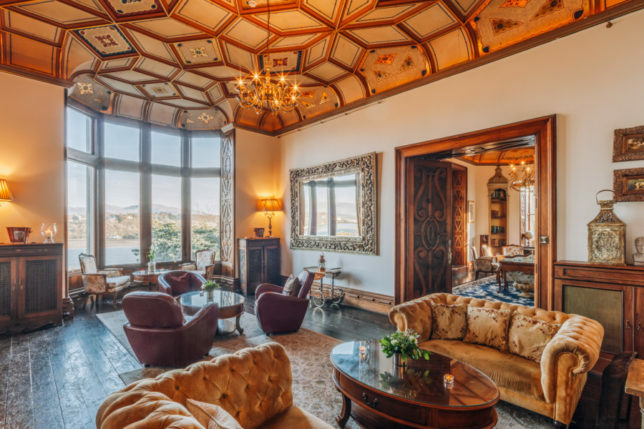 Château Rhianfa isn’t your average country house hotel. 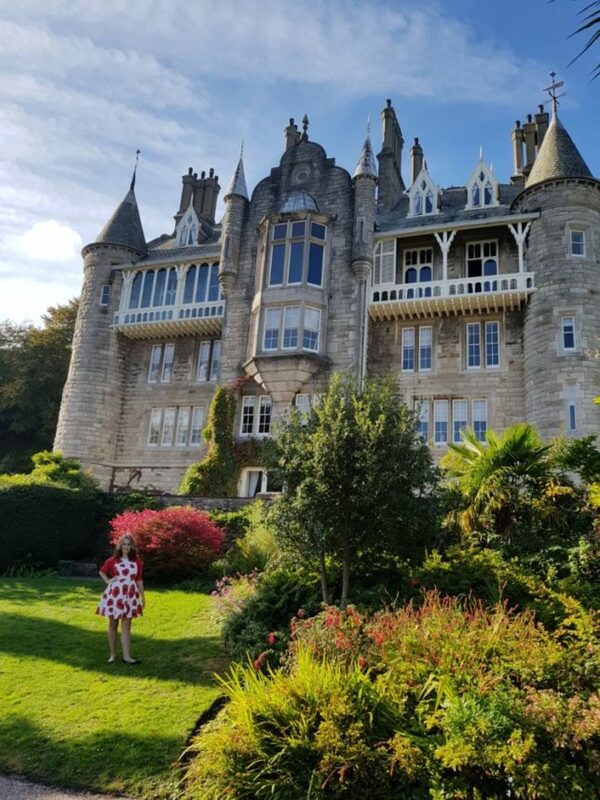 The Grade ll-listed French-style Château in Anglesey is a fairytale location whose charming character is inspired by an enchanting love story and lives on for guests to admire. The Château was built in 1849 by Sir John Hay Williams, Baronet of Bodelwyddan as a gift for his wife Lady Sarah. Inspiration and artistic imagination influenced the design from the couple’s travels in the Loire region of France, where they were particularly enamoured with the architectural style favoured in the region during the reign of Francois I (1515 – 1547). 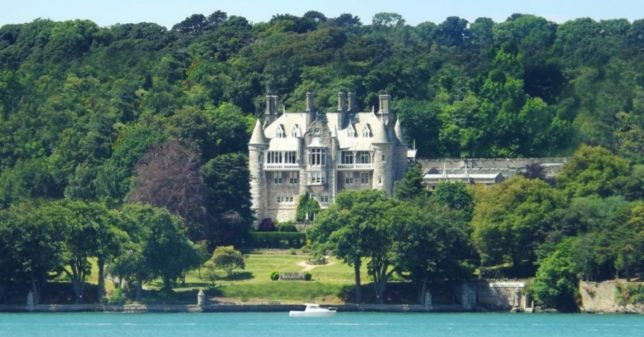 Chateau Rhianfa boasts unrivalled elegance and romantic splendour set perfectly on the Menai Strait. The Château makes for a perfect wedding venue, with the newlyweds able to arrive by boat to the hotel’s private jetty. Le Dragon Rouge at Château Rhianfa is an award-winning restaurant steeped with romance and ignited with an enchanting flair. 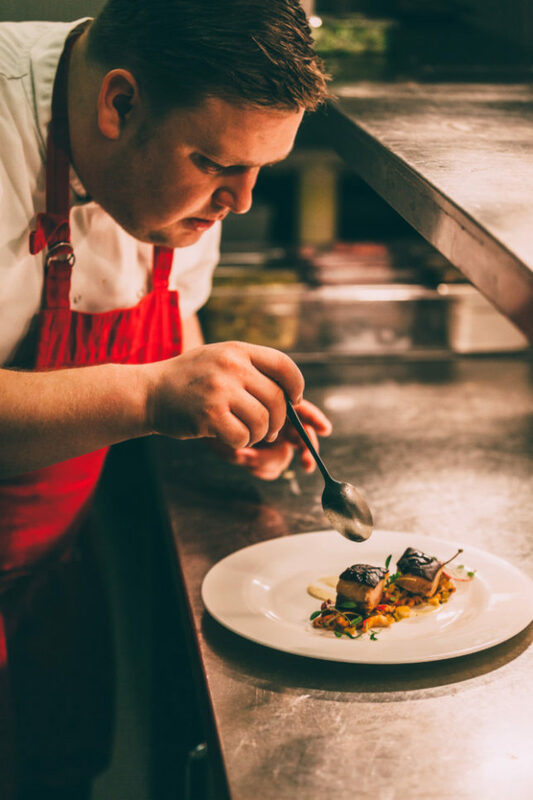 Chef and his talented team cook up a treat behind the scenes, serving delicious dishes from seasonal menus with wines to match, handpicked from the vintage racks in the restaurant’s atmospheric Wine Caves. 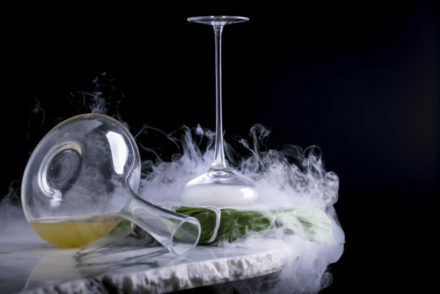 The menus at Le Dragon Rouge celebrate the best food that North Wales has to offer served up with a twist of imaginative genius taking Welsh flavours and infusing them with the culinary wizardry of French cuisine. The enchanting surroundings and romantic ambience are the backdrop to gourmet delights. Using only the finest ingredients that showcase the best of North Wales, culinary roots are championed using crabs and lobsters caught straight from the Menai Strait to cook you up a real treat to satisfy the heart of any seafood lover. 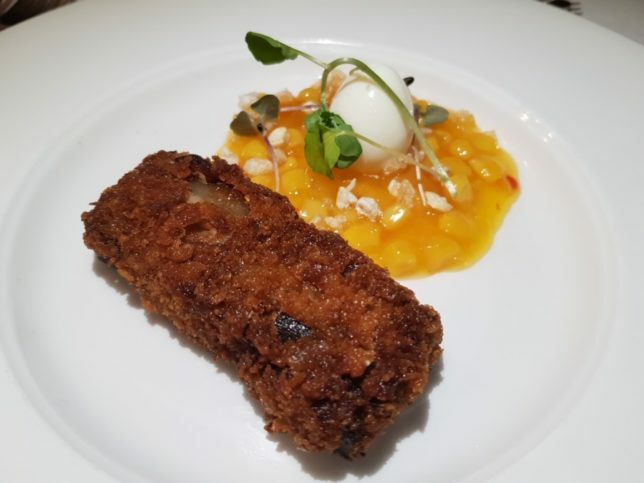 I couldn’t resist the pigs head croquette, which was the perfect combination of a crunchy texture on the outside an almost pulled pork on the inside and a small amount of pork fat to add flavour but not be too oily. The relish was a sweetcorn, popcorn and crackling with a pickled quail egg in the centre providing a contrast to the sweetness of the pork. Definitely one to order. 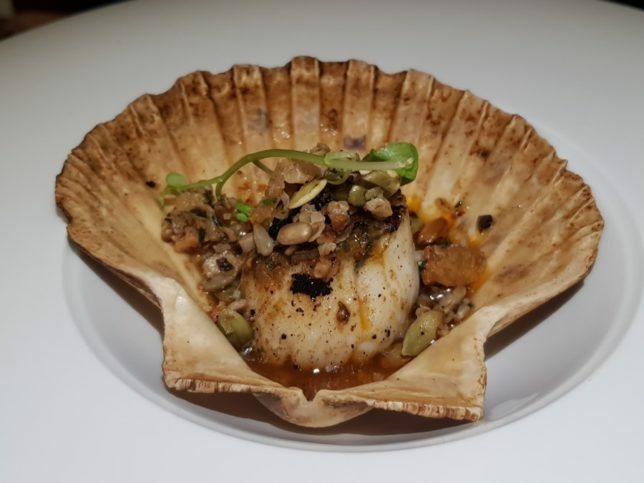 My dining companion had the Scallop which came beautifully presented in sea shell and was garnished with spring onion and sesame seeds. The current textures kept you guessing and the meatiness of the Scallop was complemented well by the dressing. My dining companion had the lamb with chimichurri, couscous and aubergine. 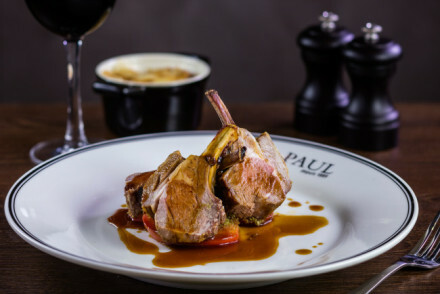 The lamb rack came medium rare and the lamb fat came crisped to perfection rivaling any pork scratching. 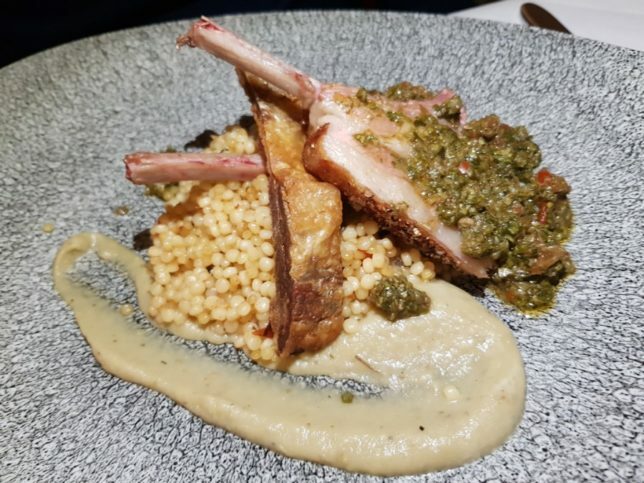 The couscous provided great texture to the dish and the aubergine puree added good flavour to a taste tasting dish. 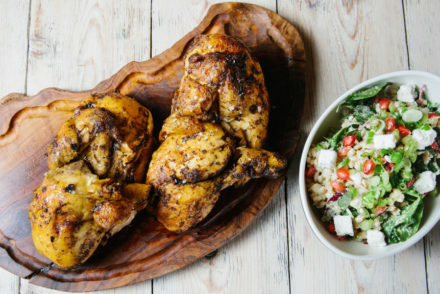 Not one for non water birds to adorn my plate I surprised even my taking Alex’s recommendation of the guinea fowl. My expectations were truly surpassed. 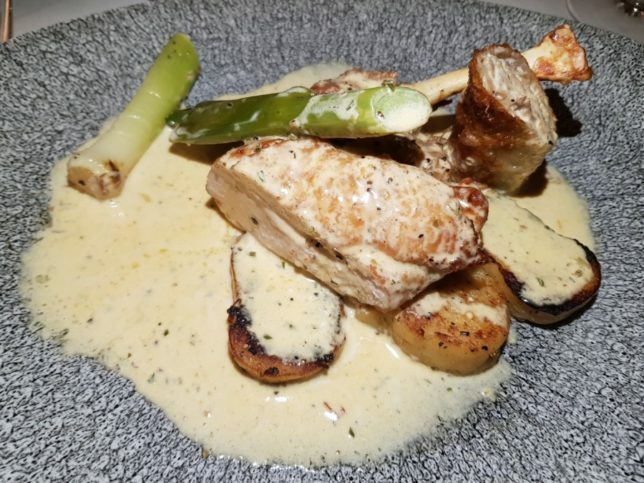 I would suggest not only a generous portion of luscious confit leg in spring roll and guinea fowl breast but the accompanying gnocchi in the peppercorn sauce featured on my top 3 gnocchi of all time and I do love my gnocchi so that’s a long list to come so high on. The peppercorn had a kick for those who like a little heat. Very glad to have chosen this dish. 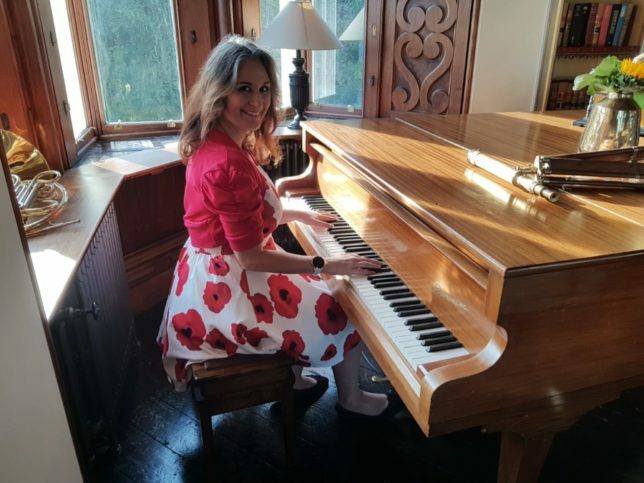 Château Rhianfa in the beauty of Anglesey in Wales inspired the Power Word of the Day on @sloanloves Instagram. 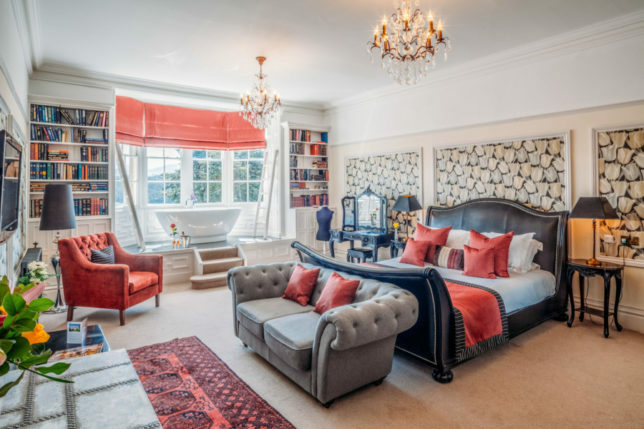 At Château Rhianfa, off peak prices start from £129 for a standard double room and on peak prices start from £220 for a standard double room (Prices correct as of September 2018).